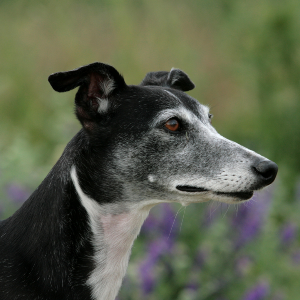 The name was given to the breed in 1610. Intelligent, quiet, and usually friendly. 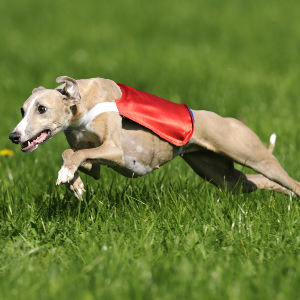 As Whippets are sensitive, they respond best to reward-based training using treats or toys. 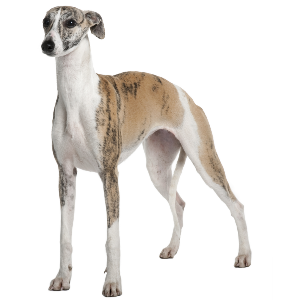 Whippets enjoy dog sports such as lure coursing, racing, flyball, Frisbee, agility, and obedience. 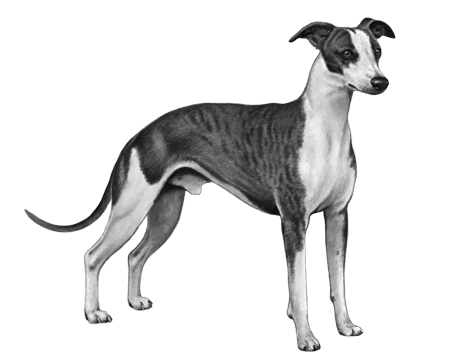 Some might tell you that Whippets began in 19th century England, when miners bred them to race in farmers’ fields when they had a day off. 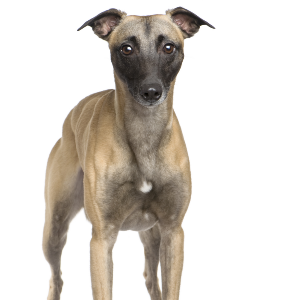 Or that the dog was once called the ‘poor man’s greyhound’. However, this origin story is not quite true. While the miners of that area did indeed breed the dogs, their journey started somewhere else. 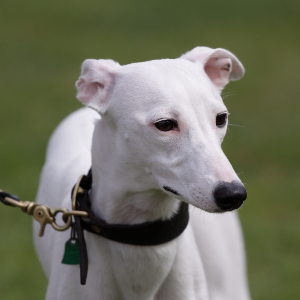 The name ‘Whippet’ was actually given to the breed in 1610, after Louis XV was presented with two of them as a gift. There is a famous portrait of Louis XV that shows him with Misse (one of the pair). 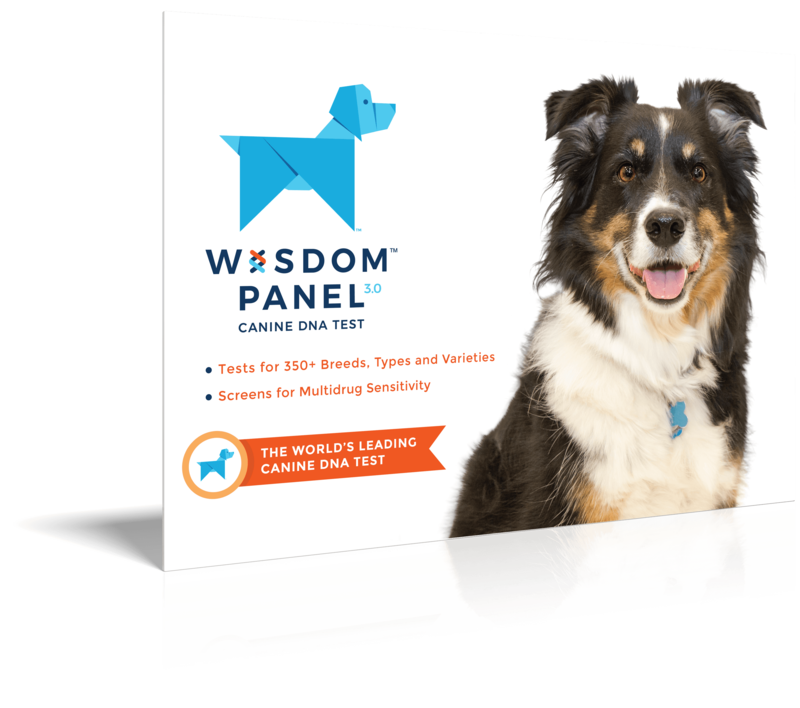 Receiving not one but two of these affectionate and loyal dogs, we’re not surprised you can also see a smile on that royal face.